CLICK THE BUTTON BELOW TO CALL FOR A FREE ESTIMATE! Ever wondered what makes the difference between one tree care company and another? After all, aren't they all the same? They all just do tree trimming, take care of stump grinding, haul away tree branches and trim shrubs, right? Well, right - and wrong. There are actual many differences between the many local tree companies you could choose between. So what are they? What are those differences? ...they might not be what you think. You see, since tree service is an either get it done or don't kind of job, what makes the difference is the SERVICE and the ATTITUDE. We've all been there - you hire someone to come work at your house, maybe for tree trimming, yard maintenance, or electrical work. The work was done, and for the agreed price, but the service SUCKED. You know what I mean - the worker seems shady, he was a few minutes late, and he talked to you like you were an annoyance. Tree Service Corpus Christi knows all-too-well that this is an issue with many of the local tree service companies around Corpus Christi - but we're here to tell you that we've got it down. We won't leave you hanging by showing up late. We won't make you feel like YOU'RE the one that's being difficult. So fill out the form on this page, or give us a call today. We'd love to drop by, give you an estimate and service your yard with excellence. Finding Tree Care in Corpus Christi can be difficult if you're looking for a company with experience and great prices. However, you have to do it because it's a vital part to the landscaping equation. If you're not getting your trees trimmed and properly maintained then you are missing out. Missing out on giving your landscape the fresh, clean-cut look that it needs and deserves. Tree Service in Corpus Christi is not hard to come across. However, coming across a quality service like ours might be harder than you think. We provide our clients with top-notch landscaping and tree trimming service. It will leave you satisfied and happy that they chose our tree cutting service. Corpus Christi Tree Care is the best tree trimming, tree removal and landscaping business in Corpus Christi and in the Coastal Bend. We have qualified staff, professional services and an urgency to get your job done FAST. We believe ourselves to be the best in the biz. With years of experience, Tree Service Corpus Christi is ready and armed to handle any tree, yard or foliage problem. 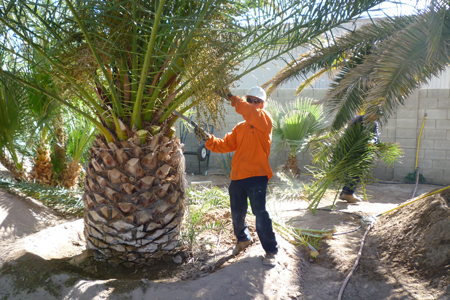 We offer a wide array of services ranging from palm tree removal and trimming. We also do branch and brush hauling for those of you workaholics that would rather do the cutting yourself! 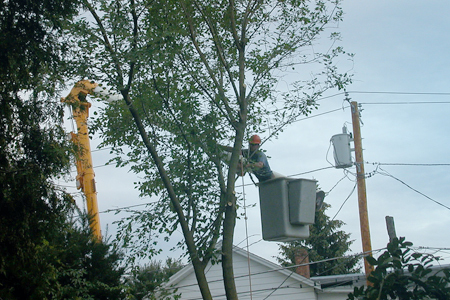 We offer our tree care services to residential and commercial clients. There truly is no job too small or too large for us. 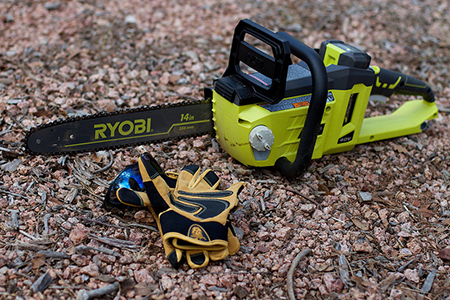 We have the tools, equipment and manpower to tackle any project involving tree care. Many of our clients give us a call when bad weather leads to unfortunate situations. This could be a tree falling on a house, car or other property. We all know that the wind in Corpus Christi is no joke! Our tree service pros are able to keep your trees trimmed and properly maintained. This will ensure the next wind storm will not blow your favorite oak tree right onto your car, house, or kid! In fact, many of these unfortunate events, weather included, can lead to damage to your home that will force you to have repairs done. Whether that be external or internal repairs, you may need to call on a roofing contractor such as http://www.roofingcorpuschristi.net/, or HVAC specialists, a local landscaper, etc. If you're in need of a HVAC Repair company in the Rockwall area, which is located near one of our franshises, you can call on Rockwall HVAC Repair. They are experienced and offer a variety of air conditioning rockwall tx services that are sure to keep you cool in the summer. They also have a location in Wylie TX, Air Conditioning Repair Wylie TX. Tree stump removal and grinding are tree care services we have been offering for some time now. We've all seen pesky tree stumps sticking out of the ground waiting for an innocent ankle to break. Don't let it happen to you! We can completely remove tree stumps and other miscellaneous tree branches and parts such as roots and fallen limbs. Not all trees are created equal. As a matter of fact, ​some aren't even trees at all (sorry shrubs). However, Corpus Christi Tree Care can still trim, cut, remove and/or maintain shrubs and other bushes on your property. If you've been looking for a great tree and landscaping contractor in Corpus Christi, we're it. We can handle not only your tree care needs, but also your lawn and shrubbery issues. Be thankful that you've found CC Tx best tree trimming and removal service! We've been going this a while. We know better than to try to pull a fast one on you and charge a fortune for our service. We offer competitive pricing, a wide range of services and professional quality that all residential and commercial clients can trust and continue to use again and again. We want you to be happy with how your yard, trees and shrubbery look. Well, you've come the the right tree company! Tree Service Corpus Christi guarantees that you will be completely satisfied with the tree service work. We can service your business or home and commit ourselves to professionalism and quality. We receive frequent positive feedback in regards to our ability to honor your time. Tree Trimming Corpus Christi loves to reward new and returning customers. We also offer our services on a monthly retainer basis. This allows you or your company to create an account with us and rid yourself from having to worry about the yard and/or trees ever again! Just call us up or fill out the form on this page. Ask us about a monthly plan, set it and forget it! Let this tree company go to work on your palm trees, bay trees, ficus trees, shrubbery and more! Click Here To Call For A Free Quote! We also have a sister company based right here in the Coastal Bend. Please visit http://cctrees.net to see priced, services and how to contact CC Tree Service. They specialize in stump grinding, tree service and tree removals. Give them a call today by going to their website and calling the number listed. They will take great care of you! Fill out the form below to get a free quote for Tree Service!